Every party has streamers and balloons; make yours stand out with our cheap backdrops for parties! Our selection of backdrops includes holiday specific and thematic designs for all party occasions. Our wall decorations make fun photo and party props that are sure to be loved all your party guests! Take pictures in front of these fun photo backdrops - you'll be transported underwater or beneath a beautiful starry night sky. These scene setters are easy to hang up on walls and can be paired with matching accessories or even matching backgrounds, like the Patriotic Stars Backdrop and the Patriotic Stripes Backdrop. Hang the stars on the top of your wall and the stripes on the bottom and your walls for a patriotic backdrop! You can even add to our backdrops by adding cutouts and other party props. Pick up the 50's Soda Shop Backdrop and attach the Jointed Carhop, Jointed Greaser, Soda Shop Signs and Jukebox Props to transform your house into an original malt shop! With our huge assortment of party photo backdrops, you're bound to find decorations that fit your party theme! We’re PartyCheap.com and we know how to party! Backdrops are a great way to decorate for a party. 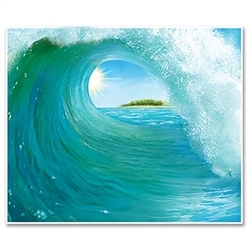 PartyCheap.com offers cheap backdrops for such themes as Luau, Cruise Ship and Pirate themes. 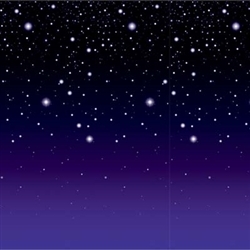 We also have backdrops for Halloween, Christmas, Casino, and Western theme parties and basic generic scene back drops. Our backdrops come in many different styles and are printed on thin but durable plastic. Most are 30 feet long and can be combined with many other backdrops to cover an entire room. Our backdrops are the most realistic, full of detail and very colorful. Whether you’re planning a simple party or a party with a theme, we have the photo backdrop for you. If you aren't sure where to put your party backdrop or how to hang it we can help! Backdrops look great in any party setting because of their large size (sure to be a conversation starter!) and can also be cut to fit a smaller space. They are easy to hang with wall pins, scotch tape, tacks, or party mount, can be used indoors or out, can be reused again and again with proper care! Great for school or church plays, photographers, set builders, and dorm rooms as well.